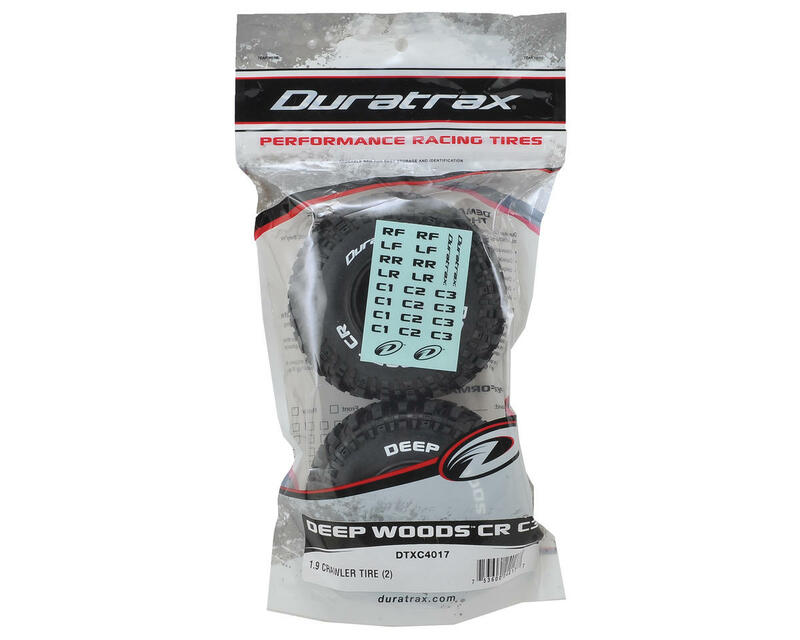 Duratrax Deep Woods CR 1.9" crawler tires in C3 compound deliver incredible bite on any surface. Rocks, dirt or wood, these tires dig in and get the job done. 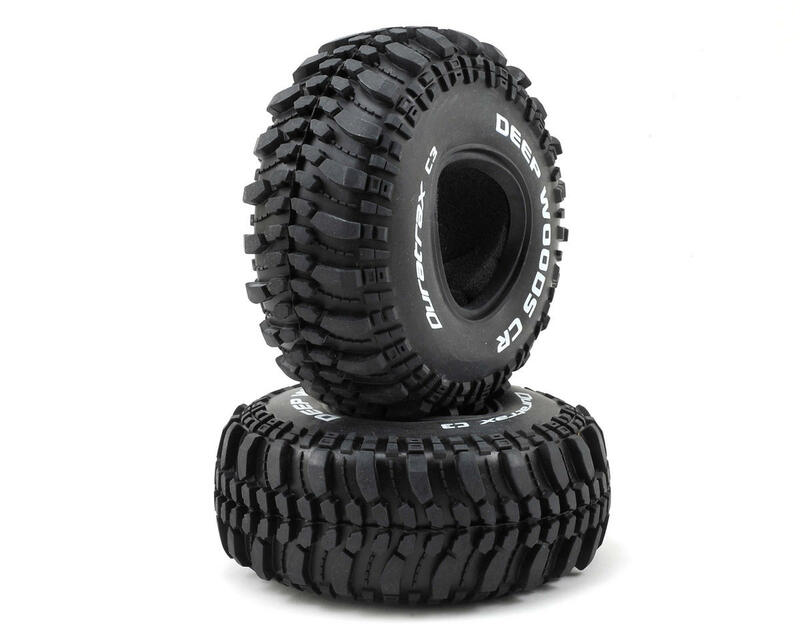 These 1.9 size tires measure in at a respectable 4.7" tall x 1.8" wide and the included soft foam inserts allow the super soft C3 compound rubber to conform to the surface. Package includes two tires. tires are awesome and grip up very well, I run no weights in my wheels and they still grip up great. have wheeled my truck with these tires for just over a year now at least once or twice a week and they still have plenty of tread. only problem I've had was getting a small hole in the side wall but it was easily fixed with some CA glue. Great tires for price, would recommend.